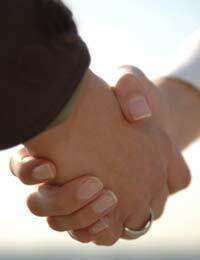 Business partners have unique relationships, and often there are events which precipitate one partner thanking another for his or her actions. Writing a thank you letter to a business partner is a good way to let him or her know that his or her actions were both noticed and appreciated. Thank you letters to business partners can be as formal or informal as the business partners’ relationship. Some business partners may see each other all the time and a quick note of thanks for handling a routine conference call is all that is needed. Other business partners may have a strictly formal relationship and a letter would be more appropriate to say thank you for bringing in a new account. If a more formal approach is selected then it is best for thank you letters to acknowledge the business partner’s actions and to say thank you explicitly. The tone of these letters should always be professional and polite as this type of communication could be kept on file for far longer than the writer ever imagined. Informal thank you letters to business partners can be written on a card or in an email, but more formal letters should be formatted as typical business letters. Names, titles and addresses for both the writer and the recipient should be included and formal salutations and closings should be employed. Company or organisation letterhead should be avoided unless the letter is a formal communication on behalf of the entire entity. Email should be avoided for formal letters. The writer’s signature should be included on these letters and a copy should be kept by the writer as well. It is with great pleasure that I write to inform you of Number One Salon’s profits for the last fiscal year. With the opening of Number One Salon Branch Two we have increased our profits by 15% and served a record number of patrons in the local community. If it was not for your perseverance in securing the site for Number One Salon Branch Two and all of the effort that you put into hiring and training the staff, as well as overseeing the day to day business of Branch Two, there is no way that these increases would have been possible. You have an amazing ability to envision our success and make it become a reality. Thank you for helping Number One Salon flourish with the opening of it’s second branch. I admit that I was hesitant about expanding our business, but I have never been happier that once again we followed your course of action. I look forward to our next year and watching Number One Salon grow even more successful. The tone of the letter is going to depend on the contents, surely. In the example cited, it would naturally be quite formal as it's paying out profits or dividend. If there was a disagreement then that would be pretty formal, too. Discussing other matters would be far less formal, and would probably be emails rather than letters as this would facilitate speed. It's probably only rarely that there would be snail mail letters involved between business partners, and then only if they weren't in the same city, or there was something legal that needed to be documented.